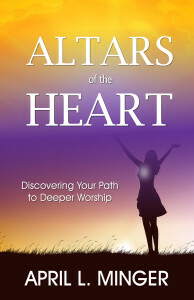 Altars of the Heart challenges the reader to examine the hidden places of their own heart to confront issues that have stymied their spiritual growth and have blocked them from walking victoriously in every aspect of their lives. 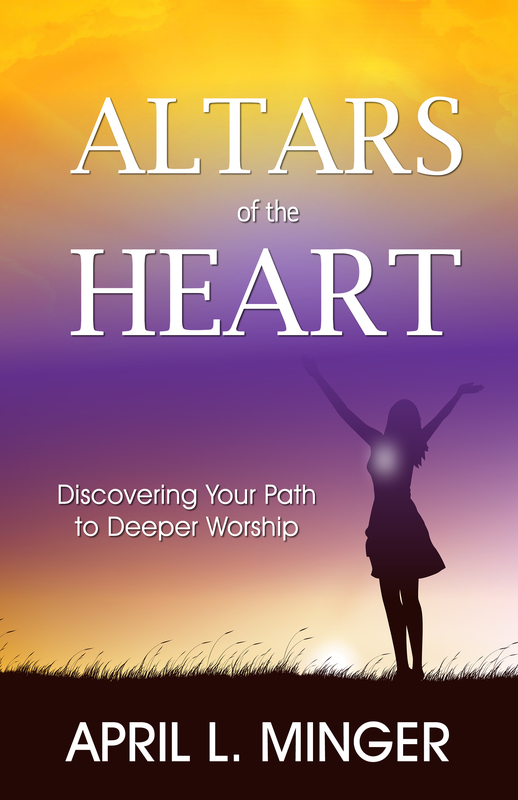 April Minger does a wonderful and sensitive job, without being preachy or theological, of showing how the condition of the heart is key to our relationship with God, living and effective fruitful life and our worship. I enjoyed the Chapter 9 “The Mind and Heart Connection”. The mind can hear the Word, but the heart has to believe it and act on it if the Word will have real effect in our lives. This month as we celebrate Father’s Day let’s honor and pray for fathers, who may not be perfect, but who love their children, train their children, protect their children and have good relationships with their children. The week prior to Father’s Day I challenge men and women to share positive comments and reflections about your father, father figures, grandfathers, mentor and committed men. Please share them. A couple of years ago on Radio station 1200 AM in the city of Detroit, John Mason, of Mason in the Afternoon, was asking for positive reflections and comments about one’s father, grandfather or a father figure. One reflection, by a man who called into the radio station to comment, touched my heart. 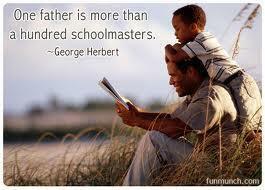 He stated that his father taught him many things by his actions. He said he learned how to be a father and the protector of his family from his father. “When I was about 7 years old I went “trick or treating” on Halloween with some friends”, said the caller. “ A bigger boy stole our bags. All I could remember was seeing a flash go by and jump the fence. Next thing I knew I had my Halloween bag back. It was my father who jumped that fence. He had been watching and covering me all the time”. That story brought tears to my eyes because the actions of the father symbolized the love the heavenly Father has for us in that he watches over us and protects us. For the now grown caller it taught him how to watch over his family. Another gentleman called in and stated he “learned how to respect women because of how he saw his father respect and treat his mother”. The admiration Kim Bracey has for her father shines through every time she speaks of him. 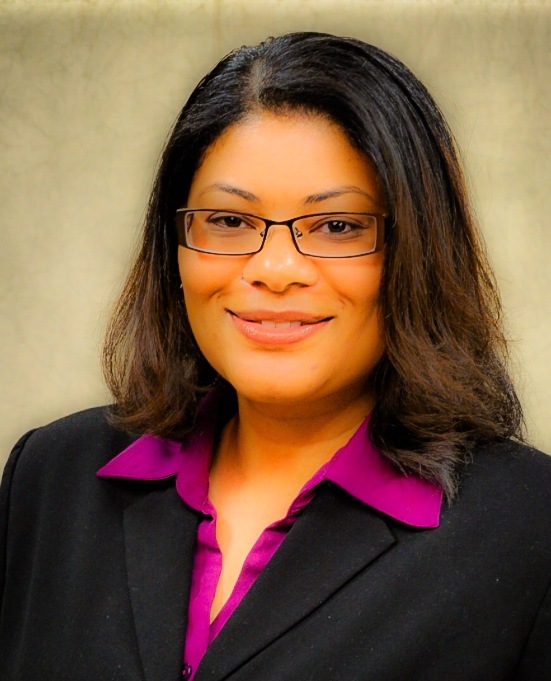 Kim Bracey will tell you she thought her father was “God” for the longest because he provided for her and was there every time she needed him. Rene Wallace shared that her over 70 year old father , who has now passed, still talked as if this middle aged daughter was his responsibility. Jeanette Johnson’s father has been dead for over 12 years but she talks about her father frequently with love and respect. Her honor and respect for his wisdom radiates from her heart for this man who only had a third grade education, but was full of wisdom , strength, and integrity who provided for his children and adored his wife and owned land and property and feed neighbors who were poor.. When she speaks of him you can hear and feel the respect and honor she has for him. It was touching to hear their comments. Join Girlfriends Pray, a global prayer ministry for women founded by nationally known life coach and motivational speaker, Dee Marshall, as they pray for and honor men-fathers, father figures, boys, and mentors on June 9 through June 20 , Monday – Friday at 7am and 10 pm (EST). 1 712 432-0075 access code 128845#. Men of God(Pastors) will be praying for fathers , men, boys, families and what the Holy Ghost places upon their hearts. Please invite your husbands, sons, brothers to join the call. 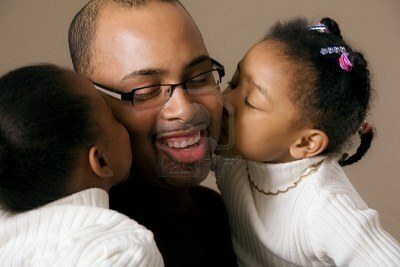 Lord in the name of Jesus, we thank you for fathers who love, train, provide for and protect their children. We pray that fathers will look to God as their ultimate spiritual father of their household, serving and caring for their children and families; Lord may absentee fathers change their mindset and lifestyles to nurture a relationship with their children. We pray that the Lord will turn the hearts of the father toward their children and the hearts of the children toward their fathers. Malachi 4:6. 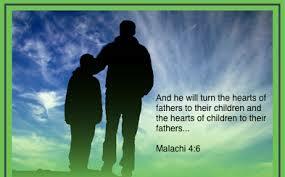 Lord may our children see the godly character of the heavenly Father in the lives of their dads. Lord we thank you that you are a Father to the fatherless and One who will never leave nor forsake us. Lord raise up fathers in the church and community to love, nurture, instruct and guide those in need of a father’s blessing. We pray for single fathers who are raising their children without a spouse to share the love and responsibility for their upbringing. Lord we pray about the disintegration of the family unit in our land, and ask You Lord to restore the foundations of the family both in and out of the church. Psalm 68:5-6; Proverbs 17:6 In the name of Jesus Amen. -Men’s Health- June is Men’s National Health month pray that fathers and men will obtain prostate cancer and other physical examinations. Again I challenge you to share and leave your positive comment and reflections about your father, grandfather, stepdad or father figure. Share the color of the loving, positive, supportive relationship you had with the father figure in your life.